The Grotto Sprüch is run by Milena and Oliviero Rusconi since 2005. The cuisine made by the inseparable couple intends to satisfy their guests who arrive with the desire of spending a pleasant evening in the spirit of the traditional cuisine. All the products used have a regional origin due to maintain the characteristic flavors of Ticino. During summer under the great extaernal Pergola like in winter warmed by the fireplace, all the year round every specialitie follow each other in a seasonal rhythm. 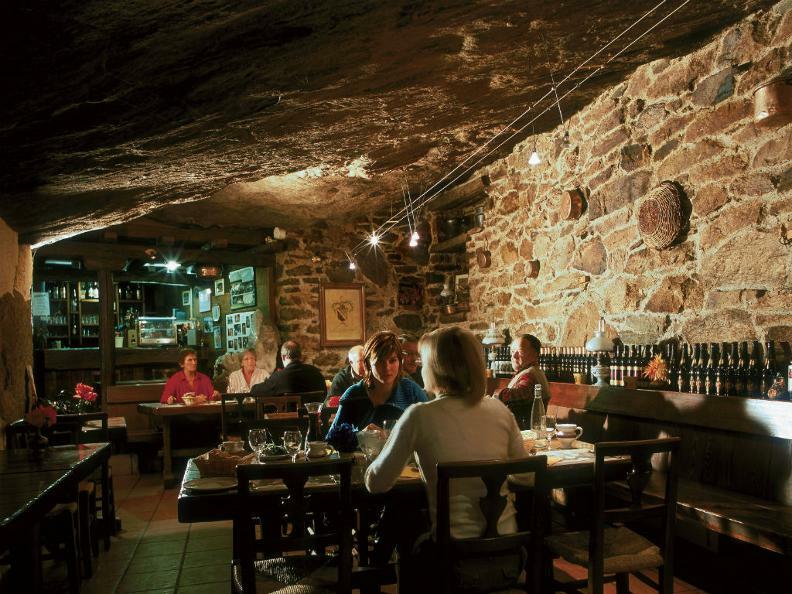 With its 40 inside and outside seats the Grotto Sprüch is ready to host you and offer you tastes of a different time. Positioned near mountain’s foot, next to a tiny waterfall, the Grotto is provided with a wide car park. The weekly day off for the Grotto Sprüch is Monday. Milena and Oliviero are waiting for you to host you with the various culinary proposals offered.